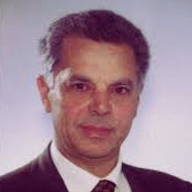 Pietro Camarda received a University Degree in Computer Science from the University of Bari, Italy, in 1978. Since 1986, he has been with the department of "Elettrotecnica ed Elettronica" at the "Politecnico di Bari", Italy, where he is currently a Full Professor of Telecommunications. He was visiting scholar from October 1986 to December 1987 at Computer Science Department of the University of California, Los Angeles, with the supervision of Prof. Mario Gerla. Since 1991 when prof. Camarda, after a public competition, became associate professor of telecommunications, he teaches fundamental courses in the field of telecommunications. He has been involved in various research areas, mainly: LAN/MAN Architectures and Protocols, Optical Networks, Network Reliability, Cellular Radio Networks, Telecommunication Services, etc. In the past few years he has focused mainly on wireless networks (cellular networks, wireless LANs, Ad Hoc Networks, etc. ), developing topics that include Resource Allocation based on Neural Networks, Header Compression Schemes for Wireless Networks, Authentication Protocols in Wireless Networks, Bandwidth Allocation and Quality of Service in WLANs, innovative MAC protocols for Ad Hoc networks, etc. Prof. Camarda is author of more than 80 scientific papers on these topics, published on qualified international journals or presented to leading scientific conferences.